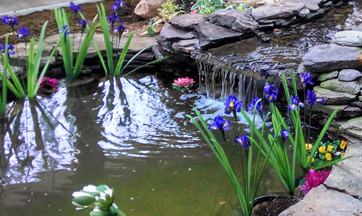 Professional Pond Design, Installation, Maintenance, Landscaping, and Supplies. 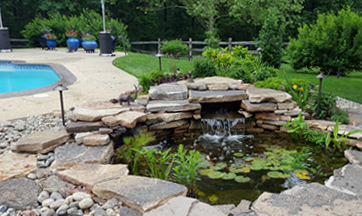 New Water Garden and Pond Design, Construction & Installation Services. Residential, Commercial. Unique Water Features, Waterfalls, and Fountains. Professional pond landscaping services. 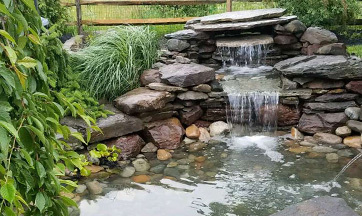 Beautiful designs, aquatic plants, statuary, fish, pond walls, natural field stone, bridges, waterfalls, fountains, and equipment. 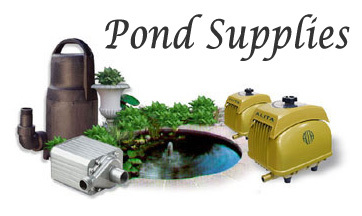 Huge selection of pond supplies and accessories for ponds and water gardens. Shop local or order online. 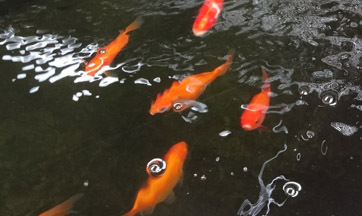 Live KOI fish for sale. Pick up in our garden and aquatic center only. We do not ship KOI fish. 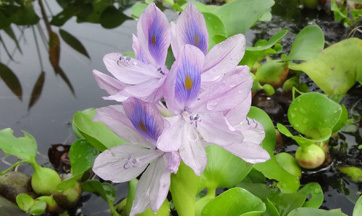 Beautiful selection of aquatic plants available during warmer months.